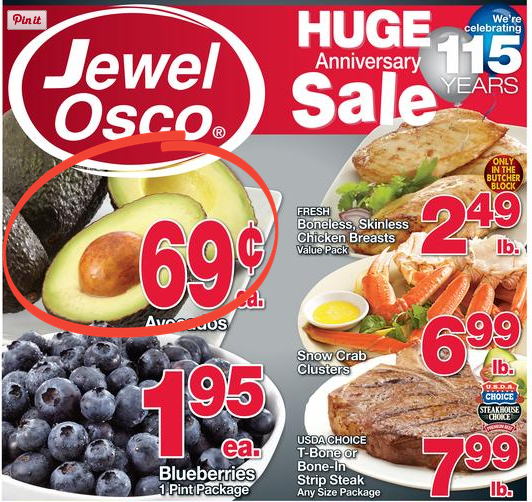 Jewel Osco is pulling out all the stops. Come on out and SAVE. Here at ChiIL Mama we love organic produce and try to eat healthy as often as possible. We dig Earthbound Farms salads and buy them often, so we're excited about this giveaway. Enter through Wednesday, August 13th! 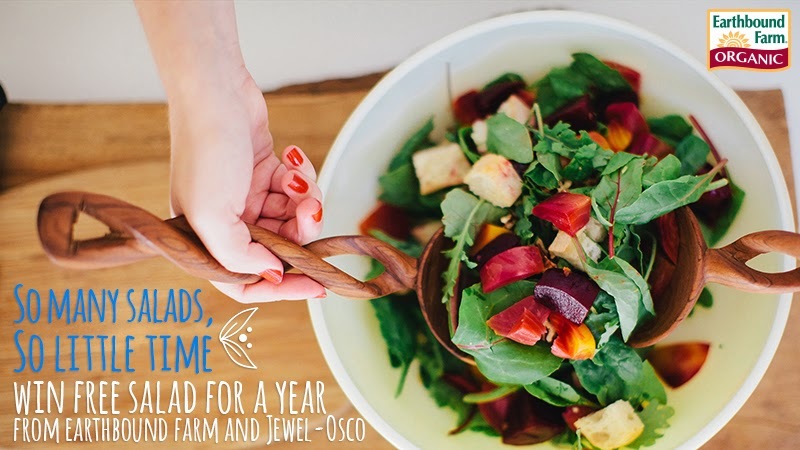 Earthbound Farms Free Salad For a Year Giveaway to 75 lucky winners. Earthbound Farms is giving away free salad for a year. All you have to do is sign up HERE. Our family members are big fans of grilling up chicken breasts, steaks and sausages of all sorts. We also adore avocado sandwiches, and guacamole too. And we can't get enough blueberries with their sweet n tart flavor and great antioxidant properties. We make them into smoothies, eat them on desserts and in fruit salads, or just gobble them up plain. 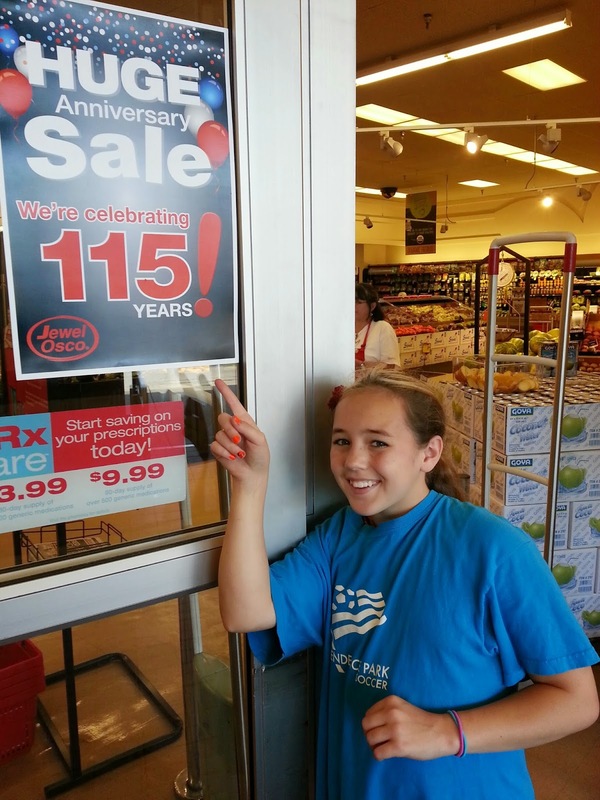 All these and more are on sale this week at Jewel 8/6-12!